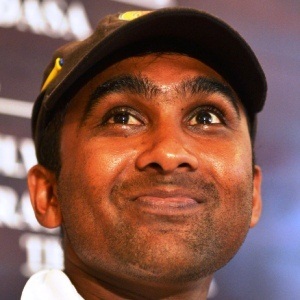 Cape Town - Former Sri Lanka captain Mahela Jayawardene feels the current team is not making the progress they should because of a fear of failure. Sri Lanka cricket has declined rapidly across all formats in the last two years since they lost the services of Jayawardene and Kumar Sangakkara. The Asian side are currently playing India at home and suffered a three-nil defeat in the Test series and also lost heavily in the first ODI of a five-match series. That followed a first ever series loss against Zimbabwe and Sri Lanka were also knocked out in the group stages of the Champions Trophy in England in June. Jayawardene told ESPNCricinfo: "I feel the team's confidence is low. The fear of failure factor has come out. "They don't look confident, they don't look hungry enough in the middle. They need to address that and find solutions very quickly." The Test series whitewash against India was particularly damaging with the three matches only lasting a total of 11 days, the visitors winning two games by an innings another by a massive 304 runs. The home team also did not go past a total of 300 once in their first innings in the entire series. Jayawardene continued: "I am sure the guys would be very disappointed with their performance in the Test series against India. "It was a great challenge for them to test themselves against the number one team. "They didn't handle certain situations well. First innings batting let them down when there were no demon in the wickets. They also never looked like getting 20 wickets."